# Import the pandas library. # Read in the airports data. # Read in the airlines data. # Read in the routes data. # Convert coordinates to floats. # Convert to radians from degrees. # Match source and destination to get coordinates. # Use coordinates to compute distance. 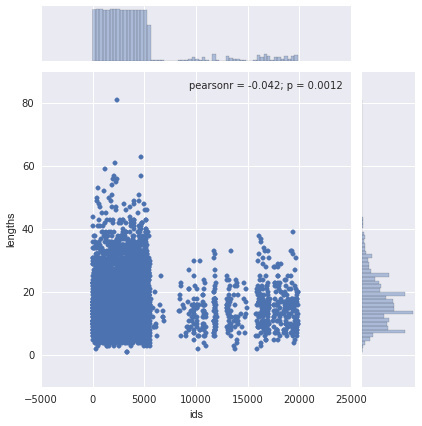 # Put relevant columns into a dataframe. 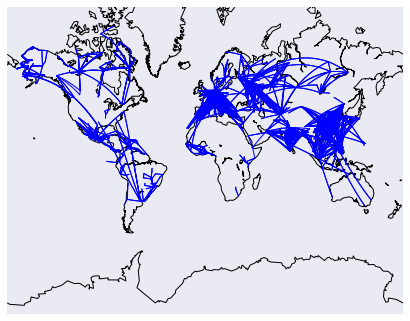 # Compute the mean route length per airline. # Sort by length so we can make a better chart. 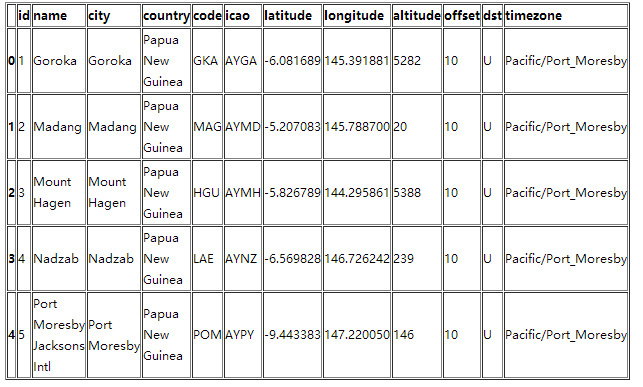 # Match the row id to the id in the airlines dataframe so we can get the name. 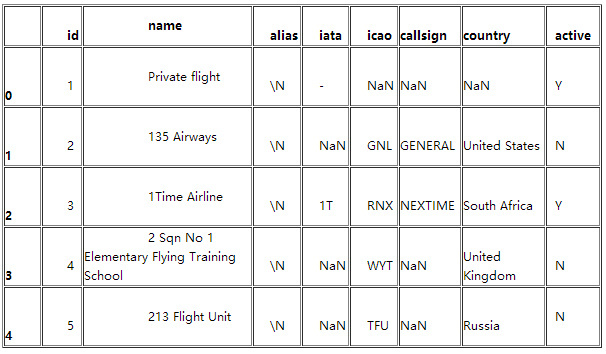 # Add the index (the airline ids) as a column. # Find all the airline names. 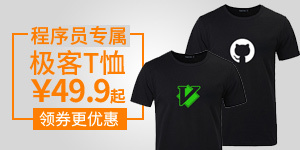 # Remove duplicate values in the index. # Create a map on which to draw. We're using a mercator projection, and showing the whole world. # Draw coastlines, and the edges of the map. 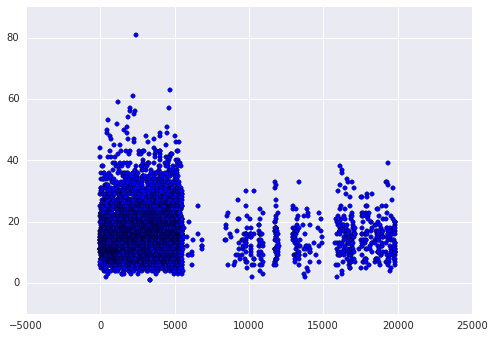 # Use matplotlib to draw the points onto the map. # Get a basic world map. # Draw markers on the map. # For some reason, this one airport causes issues with the map. # Create and show the map. # Make a base map with a mercator projection. Draw the coastlines. # Iterate through the first 3000 rows. # Get the source and dest airports. # Don't draw overly long routes. # Draw a great circle between source and dest airports. # Initialize the weights dictionary. # Keep track of keys that have been added once -- we only want edges with a weight of more than 1 to keep our network size manageable. # Iterate through each route. # Extract the source and dest airport ids. # Create a key for the weights dictionary. # This corresponds to one edge, and has the start and end of the route. # If the key is already in weights, increment the weight. # If the key is in added keys, initialize the key in the weights dictionary, with a weight of 2. # If the key isn't in added_keys yet, append it. # This ensures that we aren't adding edges with a weight of 1. # Import networkx and initialize the graph. # Keep track of added nodes in this set so we don't add twice. # Iterate through each edge. # Split the source and dest ids and convert to integers. # Add the source if it isn't in the nodes. # Add the dest if it isn't in the nodes. # Add both source and dest to the nodes set. # Sets don't allow duplicates. # Add the edge to the graph. # Draw the nodes and edges.